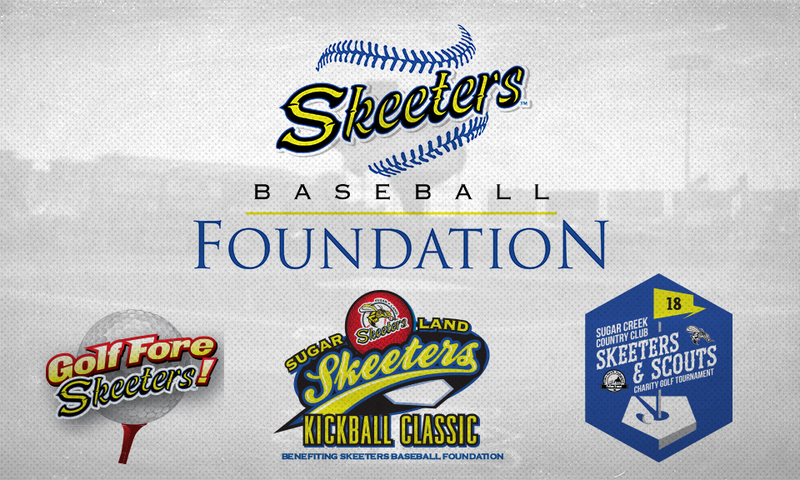 As part of the Foundation’s Deacon’s Dugout initiative, the Skeeters began a three-year campaign with the Alief YMCA to support new tee-ball and coach pitch leagues targeted to economically disadvantaged kids for the surrounding neighborhoods. In 2018, the campaign’s third year, the Foundation donated a total of $5,000 to cover the players’ registration fees and to provide uniforms, a ball and a glove to all participants. This year the Foundation is excited to announce the 50/50 Raffle, a new addition to each Skeeters home game. Each game, fans will have the opportunity to “get rich or donate trying” by purchasing raffle tickets with half of the overall jackpot going to the winner and the other half benefiting the Skeeters Baseball Foundation to help make a huge difference in the community. So far, the 50/50 Raffle has raised over $8,000 to benefit the Foundation and rewarded $10,000 to the winners. Over 200 players participated in the tournament, with Fluor Cares taking home the Carl Favre Memorial Trophy for first place and the Sugar Land Skeeters team taking second place. “You’re Kicking Me Smalls” of Memorial Hermann Surgical Hospital First Colony was awarded best team name and Pisula Development’s team, “Royal Pitches,” won the best costume award. Taking second place for their costumes was Radley Staffing’s “Kickaholics” and “New Kicks on the Block” of Memorial Hermann Sugar Land also took second for their team name. For more information on the Sugar Land Skeeters Foundation, how to donate and get involved, fans are encour­aged to visit www.SugarLandSkeeters.com.